It doesn’t matter if you’ve been bowling competitively for years or you just bowl for the fun of it every once in a while – Dover Bowl has a lane for you. 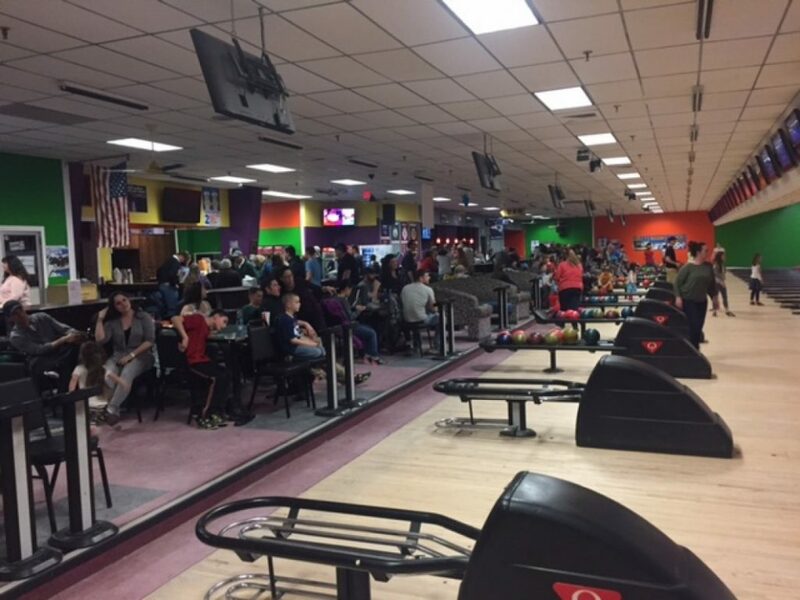 We have 22 10-pin lanes and 4 candlepin lanes, each equipped with bumpers for kids. No reservations are required for open bowling. Our standard price is $6.00 per person, per game. Our shoe rental is $4. The Bowl By The Hour sessions are $45 per lane, per hour, with shoe rental cost included. Shoe rentals are included for up to six people and up to six people can bowl per lane. $35.00 per additional hour. We also offer several bowling events throughout the week, including glow bowling and Rock n Bowl. Rock n Bowl, for example, features a night club ambiance with a black light and music. It’s on from 10PM to Midnight on Fridays and Saturdays and costs $17 per person. Sunday nights we turn down the lights at 6pm for our Sunday Glow Bowl. On Glow Bowl you can bowl all you can from 8PM to 10PM for just $12 and no charge for shoe rental. On Friday and Saturday, the lights get turned. down earlier to create our signature Rock N Bowl ambiance. While you’re there do not forget to enjoy our Arcade Attractions, like Laser Tag for $7.50 per person and Bumper Cars for $4.50 per person. Come bowl with Dover Bowl today for a night you won’t soon forget. Mondays through Friday evenings (beginning 6pm-7pm) are league nights and open bowling lanes are limited, but on Tuesday we still have 10 pin lanes available for $2. Please call 603-742-9632 for availability. Spend your night out with us for a relaxing, entertaining bowling experience.